Marty’s photo of the day #2408: This week marks the 44th Anniversary of the signing of the Endangered Species Act. Since today’s Republicans would rather worship money than do something for the greater good, it’s possible that this might be the last anniversary of the ESA. With that in mind, this week I’m featuring photos I took of endangered species all over the world. 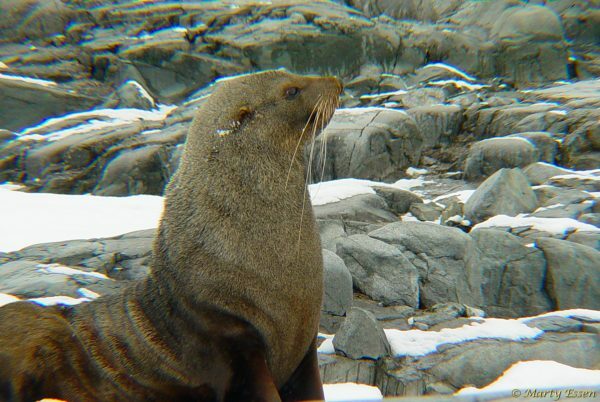 In the late 19th Century, commercial sealers nearly hunted Antarctic fur seals to extinction. Fortunately, an international hunting ban saved this beautiful animal, and fur seals are now fairly common around Antarctica.